Defy the cynicism that is there to disaffect us all. Why is the Human on Earth? One day last year my perfume despising co-worker snidely remarked to me, “I am surprised that you and Kim are not friends, given that you are both hippie chicks”. She was referring to the special education teacher whose students I provide speech services to. In the few months that Kim began working in my building, I did make note that she wore the same fragrance every day and it was lovely: an herbal, spicy amber scent. And it was my co-worker’s comment that germinated the seed in my mind to inquire as to what she wore. So I asked. 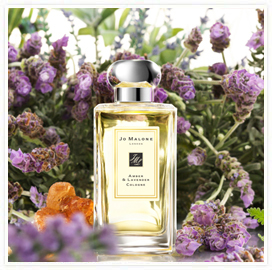 Jo Malone’s Amber & Lavender Cologne. From that simple question sprung forth a friendship that is invaluable to me. Shortly thereafter we began taking brisk walks together outside during our lunchtime – fresh air and exercise to clear our minds and move our bodies. We discovered that there was commonality in the things we adore and are passionate about: fragrance, essential oils, drinking tea, eating organic, reading inspirational books and practicing yoga. I find my daily walks with Kim to be utterly invigorating. Her no nonsense, see “the glass half full”, “let go of it all and just be happy” attitude puts me in the right frame of mind for the second half of my day. On a daily basis we deal with the challenges of working with severely disabled students who more often than not regress rather than progress. This fact can often damper one’s spirit and question one’s purpose. Yet, she always reminds me that we are truly doing the best we can and makes me laugh when she says matter of factly, “Listen, you and I have a guaranteed spot in heaven”. She knows of my interest in dabbling with essential oil blending and readily accepts all of my experiments – including the failures! 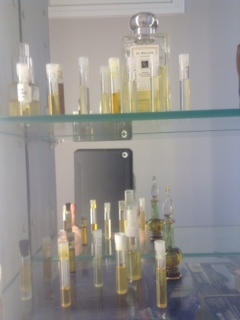 Her bathroom cabinet is fully stocked with vials I have gifted to her. I hate to admit it, but perfume despising co-worker was right. 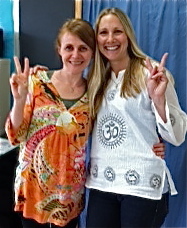 Our “hippie chick” friendship was meant to be! A great story! You never know where friendships will begin, especially in today’s all too busy world. Now, for something similar that would work for guys — somehow, it won’t be fragrance. How wonderful to have a friend at work to refresh your perspectives with. I know your students benefit from the friendship, too as you both are brighter for each other’s sunshine. Yay Kim and Brie! Brigitte, if the description above defines hippie chick, then I am too and I say you and your hippie chick friend have it figured out. Now I’m off to don my caftan, wear a headband of flowers and run barefoot after I read some feel-good stuff and stretch. ;). Positivity and good vibes – if that’s hippie, then I’m there. Great post and hope you are doing great!! Here’s to Hippy Chick Chic. I love a caftan too. Recently Alyssa Harad went to San Francisco. She took the time to make flower garlands for her hair which you can see here. It’s interesting that a snide comment from someone brought you two together. Also interesting that her scent of choice has calming lavender in it. I think that would be a good pick to wear in that job. Hi Poodle, Brie is shifting a mammoth office to another locale. Apparently dogs also find lavender to be calming according to a Genie who appeared in the comments on Magnolia for Everyone. I love the way you wrote this. I’m currently in Virginia. It’s very lush and green here. 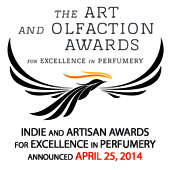 My lovely Musc Ravageur is a bit heavy in this clime, and have just discovered Barr & Co.’s lovely perfume. It’s clean but a little sleepy. It reminds me of a warm hug. Welcome This Time Now. What is the name of Barr & Co’s ‘fume or is it Barr & Co? I like your description. Yes, it’s just call Barr & Co. I’ve found it only in Anthropologie stores. Have a great day! This unfriendly co-worker proved to be useful, after all 🙂 Great story. Here’s to Fragrant Friendships Undina. Brie is investigating a linear dust accord at the moment; in the midst of a mammoth office shift.